Vickie Ybarra comes to DCYF from the Washington Department of Early Learning, where she served as the Director of Research and Analysis since early 2016. In that position she built a team that produced analyses and applied research that supported DEL’s goal of ensuring children are ready for success in school. Vickie began her career as a home visiting nurse working with immigrant families in Central Washington. She worked directly with families and built home visiting and healthcare programs in the Yakima Valley for over two decades. Over her career she has led the implementation and evaluation of numerous family support programs for low-income and marginalized families. Additionally, she has served in policy leadership positions to improve equity in outcomes for children including serving as an elected school board member in Yakima, and chairing a gubernatorial council to eliminate health disparities in the 2000s. 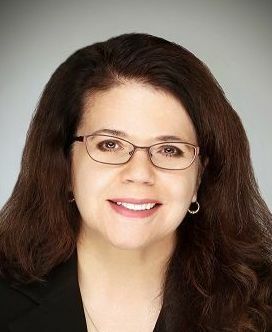 Dr. Ybarra holds degrees in Nursing and Public Health from the University of Washington, and in Political Science/Public Policy from the University of New Mexico where she was a Robert Wood Johnson Foundation scholar. She is a quantitative scholar who has published research related to public policy and child/family health and wellbeing. She holds appointments as adjunct faculty at the UW School of Public Health and as a senior fellow at the RWJF Center for Health Policy at UNM.